There are plenty of ‘estimate my mortgage payment’ calculators online, but some of them don’t take into account all the expenses a mortgage and a new home entail. Others only give you the monthly payments, without explaining how much goes toward the principal and how much is the interest. Finally, many of them are approximations at best. 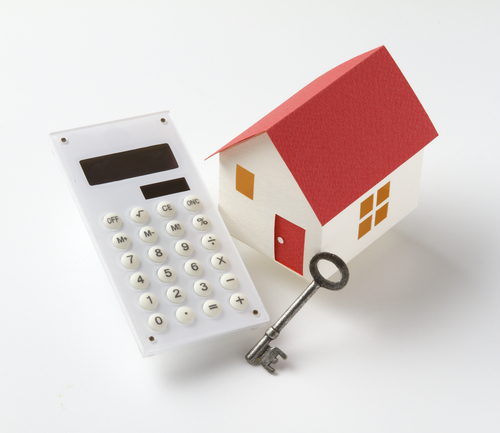 To figure out these costs on your own, check out our mortgage loan calculation guidelines below. How can I estimate how much mortgage I qualify for? Your monthly income. Of course, the bigger the income, the bigger the mortgage. Low debt payments. If you already have credit (which might come to your advantage), low monthly payments will act in your favor. A bigger down payment. This shows the lender that you are a low risk borrower. Taking out a 30-year mortgage. A 15 year mortgage is usually smaller, because it requires you to be able to afford higher monthly payments. Good credit scores. Shoot for at least 620, in order to get an FHA loan approved by a lender, and aim for 780 for the best possible loan conditions. Low property taxes and insurance rates. Whether your mortgage has been taken out for 15 or for 30 years. The longer the term of the mortgage, the lower the monthly payments, of course. The percentage that your down payment amounts to. An initial down payment that’s lower than 20 per cent, you will have a bigger monthly payment – if anything, at least because it will also involve private mortgage insurance. Taxes and maintenance. These are not included in the mortgage payment per se, but they most certainly affect your spending power. Remember that owning a house brings with it the obligatory nature of a property tax, which goes the local government budget, plus maintenance expenses (including insurance against fires and other hazards). The interest rate on a mortgage loan works on a month-to-month basis and it’s calculated for the unpaid balance for each month. For a concrete example: you’ve taken out a $100,000 mortgage loan, with a 9 per cent interest rate, payable in 30 years. This means you need to calculate the 9 per cent of the outstanding $100,000 balance and divide that by 12 (for the 12 months of the year). This means you’ll be paying $9,000/12 in interest for the first month, i.e. $750. In the first month, you’ll be making a payment of $805 on your loan, of which $55 is for the principal and $750 for the interest. In the second month, the total outstanding balance is $99,945. To work out the interest, calculate 9 per cent of $99,945, then divide it by 12. Your interest rate payment amounts to $749.59. Rinse and repeat for each month for the next thirty years.